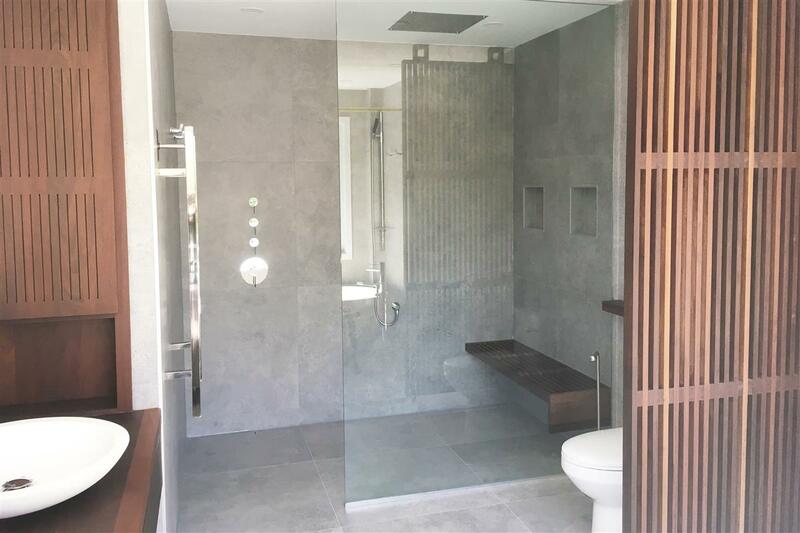 This Cote St. Luc bathroom re-model project was truly a collaboration with our clients who had a pretty good idea of what they wanted from the beginning. The starting point for the design was our clients love of Japan and the stone vessel sinks they had picked up on their travels. They wanted to their new bathroom to feel peaceful and serene. To achieve this, we selected large scale, matt, stone like tiles for both the floors and the walls and designed a curb-less, open shower. As you enter the bathroom to your right we placed a wooden lovered screen in order to provide a certain level of privacy from the toilet. We used a very warm toned wood which our clients loved since it reminded them of their travels to Asia. 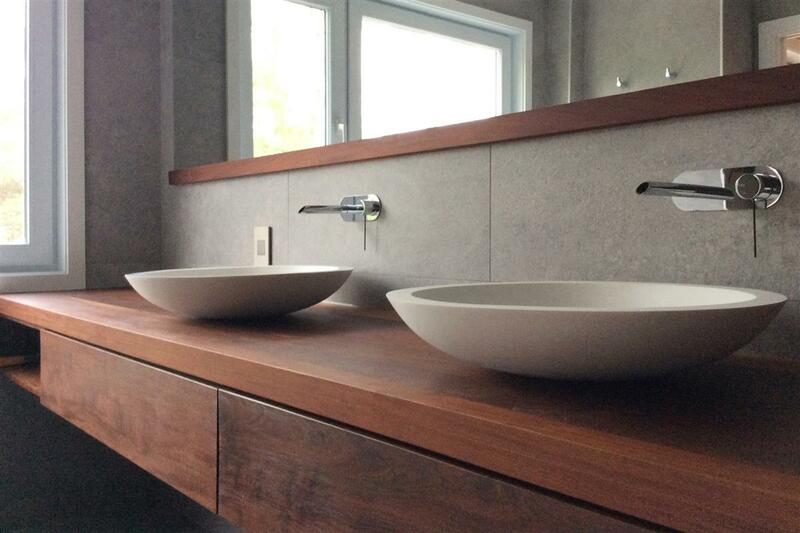 This wood was used for the vanity, louvre divider, built in wall cabinet, shower bench and shelf above the toilet. 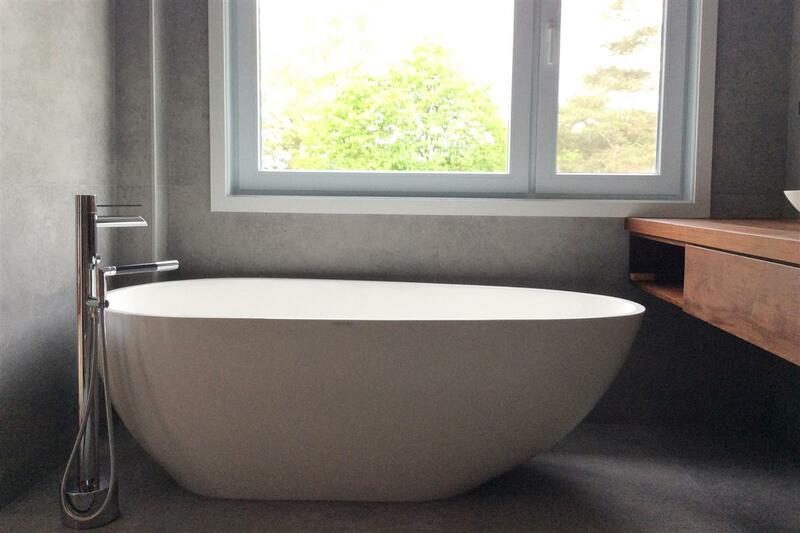 The egg shaped bathtub mimics the organic shape of the stone vessel sink and offers a relaxing escape from busy city life. We also enlarged the window in the bathroom to flood more light into the space. Wall mounted faucets were necessary in this minimalist design and as they really help to add to the spa like feel.